It’s an exciting day as Ken Griffey Jr. is expected to get the call to the Hall today. And with Cooperstown calling, it’s the perfect opportunity to celebrate his incredible career with your help! Show off an image of yourself showing off your favorite Upper Deck Ken Griffey Jr. card(s) or Upper Deck Authenticated Ken Griffey Jr. memorabilia and share it on our Facebook Timeline or tag us in your Twitter or Instagram post (@UpperDeckSports). We will reach out to our one favorite fan’s post tomorrow to share with them an Upper Deck Random Acts of Kindness mailday that will include a signed Ken Griffey Jr. Upper Deck Authenticated item! One lucky Griffey fan will score this signed piece from UDA, but what is it on? Only the recipient will know! Welcome the Kid to the Hall by showing off your favorite Griffey Jr. UD cards or UDA memorabilia today! UD and Griffey have been tied together since Upper Deck’s first release in 1989. 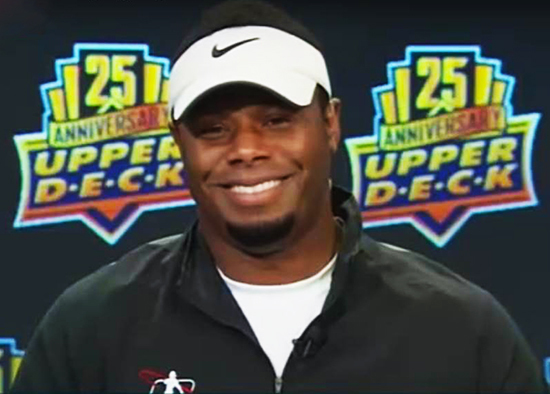 FYI, Ken Griffey Jr. is only on Instagram under the user account @therealkengriffeyjr so if you are posting to Instagram, make sure to tag him as well!